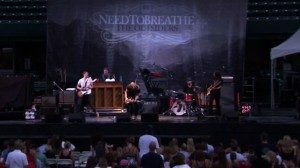 Go To Team’s Dave Baker, Roger Woodruff, Becca Finley and crew joined our friends NeedtoBreathe for another rocking shoot (behind the scenes, concert, and interview) at the renowned Family Circle Cup Tennis Center on Daniel Island, SC. As the sun began to set, the crew captured a gorgeous time lapse shot of fans filing into the stadium with the Panasonic HVX200. 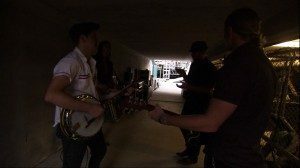 Bo, Bear, Seth & Joe shared some playful banter with the crew in the tunnel before they hit the stage to open for Train. As to be expected, Bear, with his usual vigor, belted, while Seth and Bo kept the crowd entertained with their soulful licks. GTT crowded the stage with the Canon 7D for some close up footage of fingers flailing, and toes tapping during this unbelievable performance that featured songs such as “More Time” and “Something Beautiful”. Placing the Panasonic AVC POV camera on the stage behind the piano, the crew gave fans a glimpse of the feeling of being on stage as a member of the band, as well as, recording some fancy handwork from Joe. 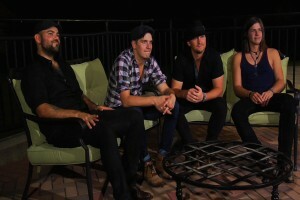 After the show, with the Panasonic HDX900 in tow, GTT shared a few moments for an intimate interview with NeedtoBreathe discussing their upcoming tour, SEC football, and the origination of the song “Girl Named Tennessee”. 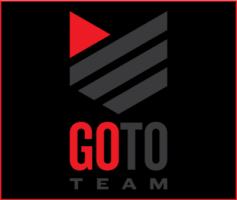 Go To Team aced another shoot with Atlantic Records’ Recording artist NeedtoBreathe. Thanks to the Family Circle Cup Tennis Center for hosting this fantastic event. 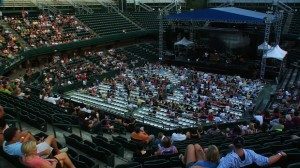 What a great place to see a show.